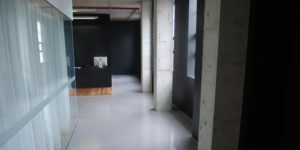 Elevate Apartments, a 15 storey apartment complex in central Wellington, includes ARDEX products for floor levelling, acoustic soundproofing, undertile waterproofing, exterior waterproofing and tiling. 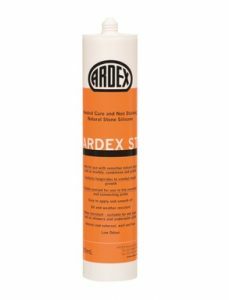 This complete System ARDEX solution ensures all products are designed to work together for maximum performance. 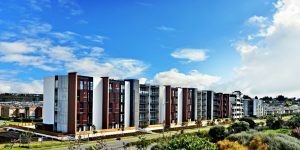 The Stratum Management Ltd apartment complex was designed by Architecture Plus and completed in August 2014. 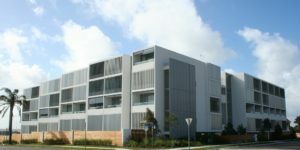 Elevate Apartments offer one, two or family-sized three bedroom apartments. Bathrooms, kitchens and common areas feature both horizontal and vertical tiled surfaces creating a total of 2500m² of tiled area. 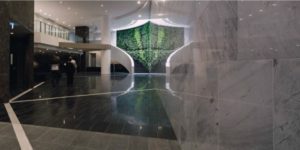 The lobby and lift foyers also feature floor and wall tiling. Dave Stewart of Stratum Management Ltd prefers to create strong relationships with the companies he works with on construction projects and has worked with ARDEX on at least 20 major projects. 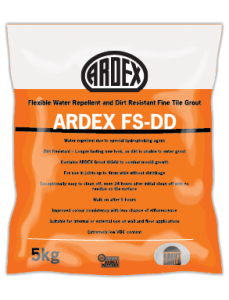 He specifies ARDEX products with confidence as they are ‘tried and tested’ and the technical back-up ensures that ARDEX ‘stands behind their product’. 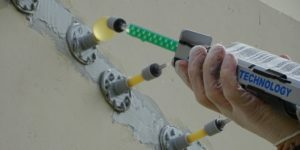 Dealing with one manufacturer for multiple applications makes the process easier and Dave has also found contractors like to work with ARDEX products. 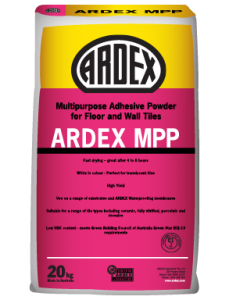 In order to reduce the noise between floors, ARDEX DS 40 sound reduction membrane was installed as part of the floor tiling system. 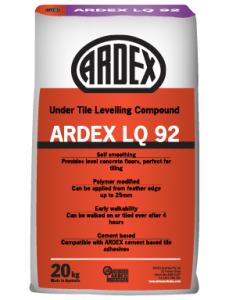 ARDEX LQ92 was laid as the floor levelling compound and the soundproofing was installed on top and adhered with ARDEX X56. Tiles can be installed directly over the ARDEX DS 40, meaning the floor installation time is reduced. 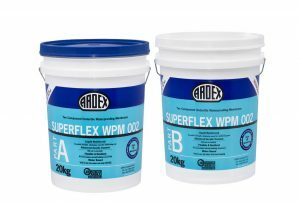 In each of the 82 bathrooms, ARDEX WPM 001 and WPM 002 acrylic waterproofing membranes have been used along with ARDEX X 56 adhesive for floor tiling and ARDEX MPP for wall tiling. Further soundproofing was included in the bathroom floors over the undertile waterproofing membrane. All of the tiled areas were finished with ARDEX FS-DD grout and ARDEX SE Silicone or ARDEX ST neutral cure silicone. 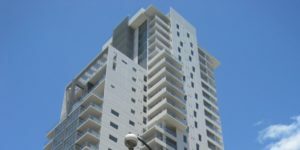 ARDEX Butynol was chosen as the waterproofing membrane for the balconies at Elevate Apartments. 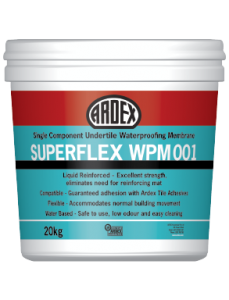 ARDEX Butynol has a proven track record in New Zealand providing resilience and dependability when it comes to membrane waterproofing and the Dove Grey colour suited the exterior colour scheme. 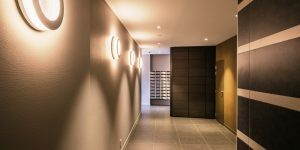 Elevate Apartments is just one of 20 Stratum Management Ltd projects which include complete System ARDEX solutions. 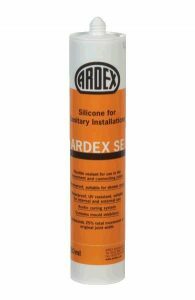 The System ARDEX concept incorporates system recommendations, on-site visits and technical support and warranties, as well as complete product systems designed for reliability.